Last night I took multi-tasking to a new level: I participated in #FoodChat, watched the Iowa Food Dialogues (#FoodD), and of course took care of my family all at once. Like I tweeted last night, I'm not sure I was 100% successful at it, but it worked okay. I paid more attention to #FoodChat but tried to bounce back and concentrate on #FoodD as much as possible. So why all the fuss and inability to prioritize last night? It has been a long time since I have participated in an #AgChat or a #FoodChat and I felt like yesterday's #FoodThanks conversation was important to join in on. #AgChat is a weekly online twitter chat, every Tuesday, from 7 to 9pm CST, about agriculture issues (for example, next week's is about ethanol). This is a chance for people in all sectors of agriculture and the general public to get together and talk about these hot topics. Then on the 3rd Tuesday of each month, the conversation changes to food and becomes #FoodChat for the night. 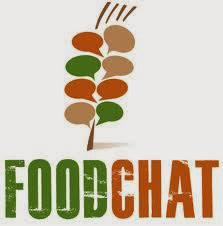 #FoodChat is a monthly twitter chat about food, where people in all aspects of the food chain, along with anyone interested in food, get involved in the conversation. And last night's discussion was about Thanksgiving and the Ag Chat Foundation's #FoodThanks campaign. Food is an important part of our lives and it is something people gather around for the holidays. It was a lot of fun talking with others from around the country about food, Thanksgiving traditions, and how we are all giving #FoodThanks this year. You can give #FoodThanks in whatever way you want - pin a recipe, share a photo of your favorite dish, or simply tweeting thanks and appreciation for food and all those who provide it. I personally have already given a bag full of food to my local food pantry to help out during this time of year as part of the #FoodThanks program. So why not just leave it at that and just concentrate and participate in #FoodChat only? 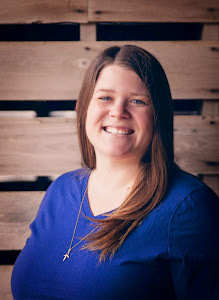 I couldn't just leave it at just participating in #FoodChat because the US Farmers & Ranchers Alliance was hosting one of their Food Dialogues, and last night it was in Iowa and a friend of mine was on the panel. So I couldn't pass up the chance at watching the live stream of the panel of six people involved in all aspects of agriculture, talk about agriculture and its future. Plus I had to cheer on my friend! To tell you the truth, the reason why I ended up getting more involved with #FoodChat versus #FoodD was because I didn't really feel like there was a dialogue happening. I don't know if that was what the US Farmers & Ranchers Alliance and the Iowa Corn Growers Association wanted, but I guess I was looking for more of a respectful dialogue or conversation about agriculture issues and not the debate that I felt was going on. I was looking for a thoughtful discussion on GMOs, sustainability, food production and availability. Instead I felt like people were continuing to have to take sides or rebuttal others comments. Yes, I wasn't expecting everyone to be singing "kumbaya" at the end but I hoped that people would have found more understanding of each other. I understand that those that put together the event wanted to get some different views on the panel, but at the same time, didn't they want some type of gain or positive influence from the event? To tell you how bad it was, a member of the audience asked at the end "Can we all get along?" I personally hope so. All of agriculture has to get along so we can provide choices for our neighbors, our country and dare I say world. Outside of the world of agriculture, consumers do see agriculture as just one industry. But inside agriculture we for some reason like to compartmentalize ourselves. On a positive note, I think those that were there or watching online like me were able to see that the panel was very passionate about agriculture. I believe people that were authentic shined during the dialogue. I was happy to multi-task last night for the purpose of food. Food is very important to me as it is how I nourish my body and it is also what I produce all year long on my farm. I hope this holiday season we all can gather with family and friends around and over food. Cherish this time together and the great food we're provided. 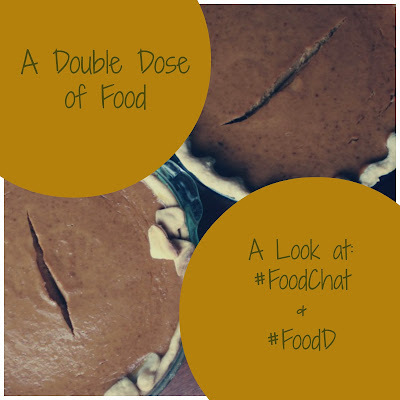 Did you participate in #FoodChat or #FoodD last night? What were your thoughts? Have you ever participated in an online twitter chat or streamed a live event before? If so, what? 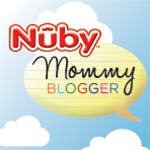 Great post Val! Thank you for supporting the #FoodThanks efforts and donating to your local food shelf.